Put baby in front of you. Stand in mountain pose. Breath in and breath out. Slowly bend and forward bend. 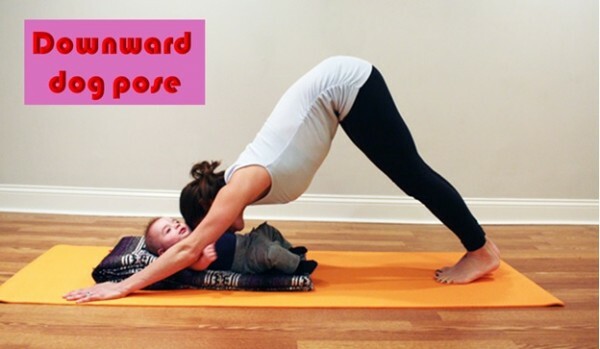 Place your hands on the mat and walk legs back and get into downward dog pose. Let your hip face roof. Bring your shoulder blade together and push yourself more towards thighs. Look at baby, breath in and breath out. Interact with baby. Give her a smile and relax in the pose.